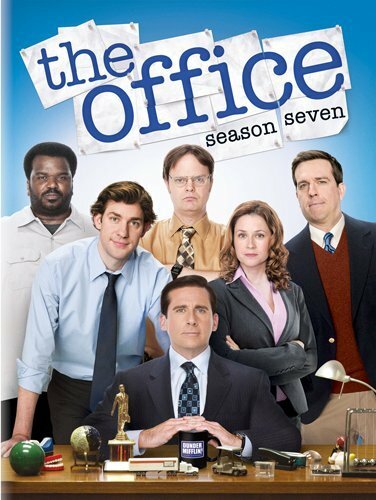 Quick Take: The Office, "Pam's Replacement"
Review: The Office, "Pam's Replacement"
(S0807) To be honest I had my doubts coming into this season of The Office, but I'm glad that so far, I still find the show to be a must watch each week. The primary element that seems to missing though is a large overlying story. We have Pam's pregnancy, but there really hasn't been anything else that moves with us over the course of this season. Also, with so few episodes left in this season I seriously doubt we'll see too much more develop either. The ongoing, awkward, flaky, and delightful relationship between Erin and Andy is still in full bloom. I hope that someday I can have a secretary just like Erin. So when I give the task of “make up a fake phone call” she will tell me that my mother died. Other people, of course, will be in on this ploy and the feeling of pride that “My Erin” gets, will be crushed by the understanding that its not alright to tell me that my mother died in front of a client. Onto the meat and potatoes of this episode. So the title “Pam's Replacement” is referencing her training the new temp Kathy, for when she leaves to have her baby. Since she is all insecure about her self growing larger (chair noises, floor noises, and Angela) this new temp is just the ingredient needed to spark up some pregnant jealousy concerning whether or not Jim finds her attractive. Who better to solve this jealousy problem than, of course, Dwight. It really puzzles me that Pam continually goes to Dwight for help. I suppose it should puzzle me more that he continues to help her. Or maybe at this point I shouldn't be puzzled at all? So with Pam and Dwight's newly forged alliance he lays down three important ground rules. Rule One: Our only loyalty is to the truth. Rule Two: We stop at nothing. Rule Three: Don't fall in love. All of this culminates into one of my favorite scenes so far this season in which Dwight pretends to trip only to grab Jim's crotch, multiple times, to see if he is "enjoying" his talk with Kathy. This in turn leads them to a pharmacy where Dwight plans on using a blood pressure machine to see whether Jim finds the new temp attractive. After a series of questions from Dwight they realize that Jim may be suffering from high blood pressure. This makes Pam forgot all about the jealousy and Dwight infuriated that "Jim" might not even be his real name. I think "Pam's Replacement" was one of the better episodes thus far and I do feel like the writers really have Jim and Pam's relationship right. Plus, Dwight heavy episodes always bring a nice dose ridiculous to any of the plot lines and keep me thoroughly entertained. I do feel that The Office has fallen pretty far off its peak period, some years back now, but I'm still watching out of attachment to the characters and the hope that it will find its footing in the post-Michael era. Great review and welcome to TVGA !